In 2011, the Dream Doctors Project’s First International Conference on Medicine and Medical Clowning was held in Jerusalem. We hosted 250 guests from 22 countries, including medical clowns, representatives of medical clowning associations from around the world, physicians and nurses. Several medical studies on the issue of medical clowning were presented, making it clear that there was a need for additional scientific studies to build an evidence-based foundation for medical clowns’ contribution to patient well-being and health. Consequently, the Conference resolved to establish a Scientific Research Fund to provide grants each year for research on medical clowning. The Fund is overseen by the Scientific Committee, which is made up of 5 members. Prof. Arthur Eidelman currently serves as the chairman and is joined by Prof. Annick Raas-Rothschild, Dr. Yitzhak Berlovich, Prof. Myriam Ben Arush, and the founder of the Dream Doctors Project, Yaacov Shriqui. 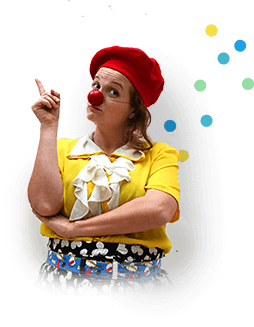 To date this fund has supported over 30 research studies on various topics in the field of medical clowning, many of which have been published and presented at international conferences.